If you have provided computer support you know it can be a challenge to diagnose the problem a user is experiencing based on their description. Depending on the environment doing a remote session or standing over their shoulder may not be a practical solution. 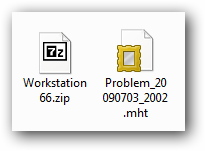 New in Windows 7 is neat utility called Problem Steps Recorder which records user actions and allows you to troubleshoot the problem easier. 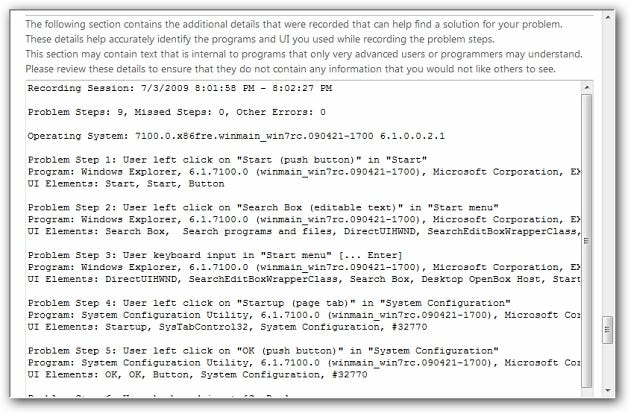 To start up Problem Steps Recorder type in “psr.exe” (no quotes) into the Start menu Search box. 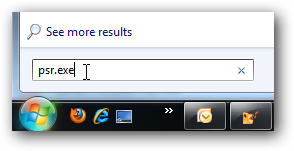 Another helpful tip is to create a shortcut for it on their desktop using the path “C:\Windows\System32\psr.exe”. Now when a user calls for support they have a handy icon they can use to launch it. There is nothing fancy about the interface it has basic controls for easy use. 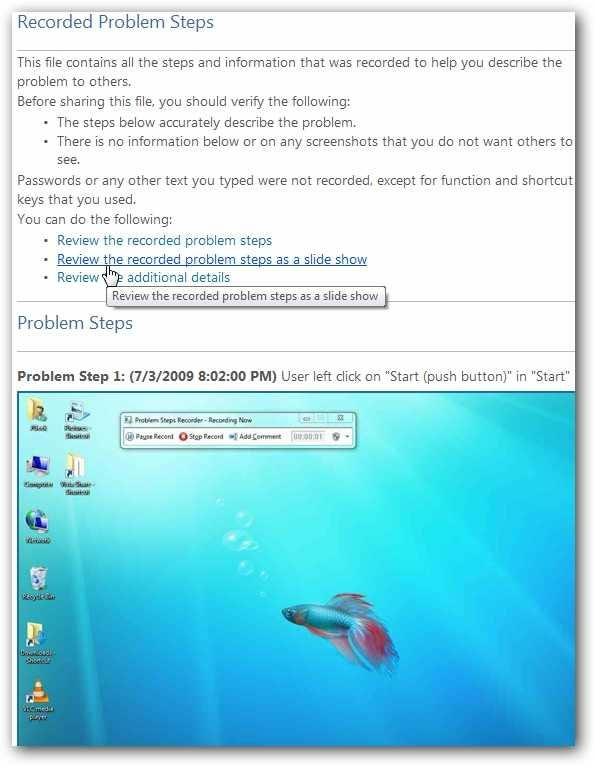 Click on the Start Record button and go through the steps to recreate where the problem is. While recording the process you will notice a small red dot image briefly by the pointer when new shots are taken. When done with the recording just click on Stop Record and then choose location to save the output file. 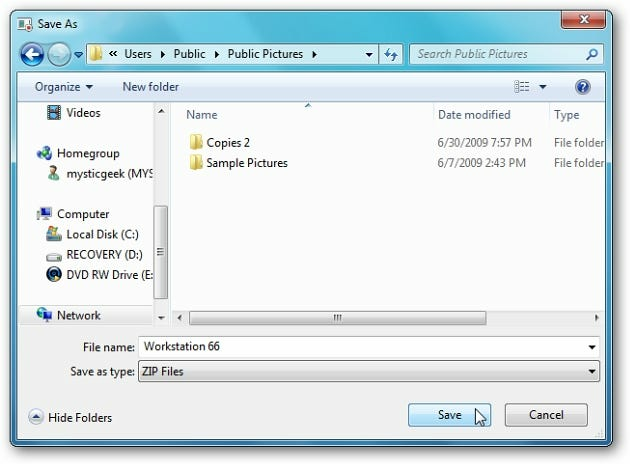 The output is saved as a zipped MHTML web archive file that can be viewed in Internet Explorer. Just have the user email it to you or put on a network share. Now you can navigate through the recording and see what the user was doing. It creates a neat file that lets you scroll through each screen shot, view the shots as a slide show, or review tech details. Here is an example of Slide Show view in Internet Explorer. Then toward the bottom of the document more additional technical information is shown. Another thing to point out is that during the recording session you can hit the Add Comment button and highlight an area of the screen and leave a comment or question. This should help you get up and running with the new screen recording feature. 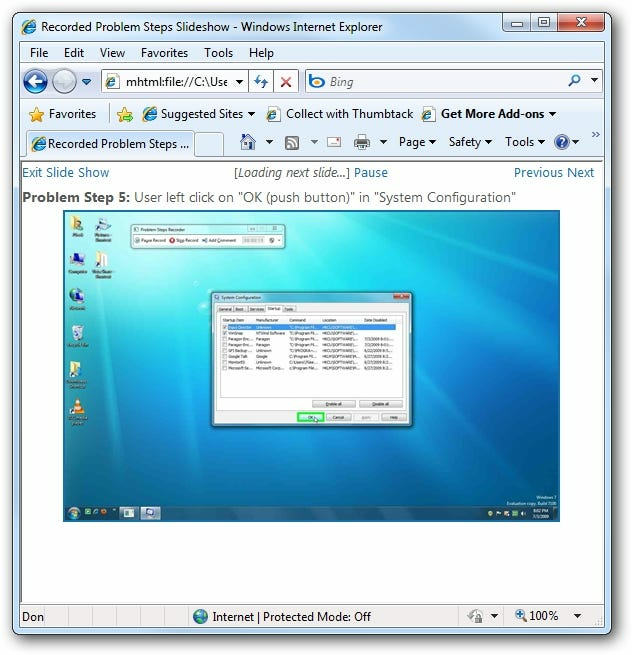 While this tool is not as feature rich as it could be, it is a nice addition to help troubleshoot issues with Windows 7.